Exfoliation is a must no matter how sensitive your skin may be. There are best exfoliators for acne, in the same way that there are specific types of exfoliators best suited to enhance the youthful appearance of mature and aging skin. There is really no best time to exfoliate. 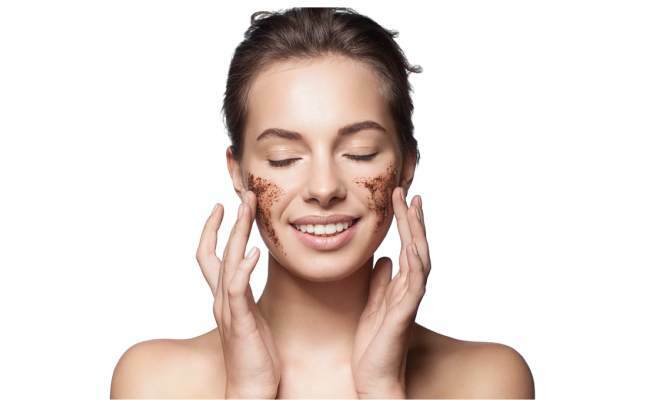 The benefits of exfoliation for all skin type has already been established. Keep in mind to choose the right exfoliator for your face based on your skin type. 1. Exfoliation speeds up skin healing. It also helps facilitate skin restructuring and renewal, according to a study involving pig skin which demonstrated how a chemical peel smoothened the pig skin, suggesting the same benefits of exfoliation, chemical peeling specifically, in improving signs of skin aging. 2. Exfoliation promotes skin restructuring. Any form of exfoliation will help stimulate faster skin regeneration and renewal mechanisms. Some forms are preferred over others in addressing very specific needs for exfoliation. According to a review of chemical peels, the best exfoliator for acne scars involves superficial and medium peeling using a chemical peel agent. 3. Exfoliation improves the absorption of beneficial ingredients of other products in your regimen. When the corneal stratum, consisting of layer after layer of dead skin cells sitting on the surface of your skin, is broken down, your products can penetrate your skin more easily and deeply. Oily: scrub, BHA or, manual exfoliator device. Dry: scrub, AHA combined with emollients and moisturizers. Sensitive Skin: exfoliating brush or muslin cloth. Acne prone skin: salicylic acid or benzoyl peroxide. Mature and aging skin: AHAs and BHAs, professional chemical peels, microdermabrasion, laser skin resurfacing. 2. Read through the labels. Check out the the guide on exfoliation provided by the manufacturer. Make sure to follow exfoliation instructions exactly as stated to avoid permanently damaging your skin. 3. Always follow through with a moisturizer. Exfoliating can be very drying for your skin. Immediately restore moisture to avoid damaging your skin. 4. Exfoliate regularly. The frequency depends on your skin type and how your skin responds to your exfoliator. Keep in mind that each time you exfoliate, you are speeding up skin turnover, and that with each turnover, lesser damaged skin rises to the surface. 5. Get a professional exfoliation periodically. For more intense exfoliation, don’t learn how to exfoliate face more intensively. Instead, schedule a session with your skin care specialist, one that specifically addresses your most pressing skin concerns. Chemical peels combined with resurfacing techniques is one of the best ways to exfoliate for wrinkles removal. 1. 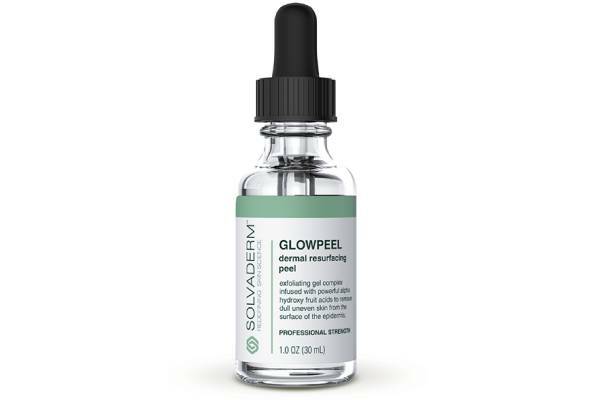 Solvaderm Glowpeel, US $89 for 30 ml. This exfoliator boasts of a potent combination of glycolic acid and skin brighteners that help lighten age spots and promote a noticeably brighter skin complexion. Other key ingredients include lactic acid, pyruvic acid, and kojic acid. Combined, these components facilitate faster skin cell regeneration and turnover. To know more about Solvaderm Glowpeel, check its detailed review here. This product has been specially formulated to exfoliate sensitive skin. The key ingredients are jojoba beads which gently exfoliates your skin to reveal a younger, more radiant skin complexion, and Mandarin Orange extracts which re-energizes your skin. 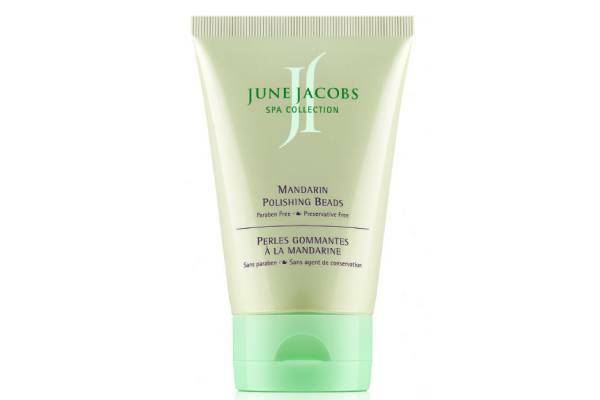 The formula also includes Natural Soy Bean Extract and Vitamin E. To know more about June Jacobs Mandarin Polishing Beads, check its detailed review here. 3. Vichy Idealia Peeling, US $39.95 for 100 ml. This product commits to heal and reinvigorate your skin overnight while you sleep. Key ingredients include glycolic acid, and the Vichy Mineralized Thermal Water, which is said to contain key minerals that your skin needs. The formula is also infused with Vitamin C and other antioxidants that reawaken your skin.To know more about Vichy Idealia Peeling, check its detailed review here. 4. 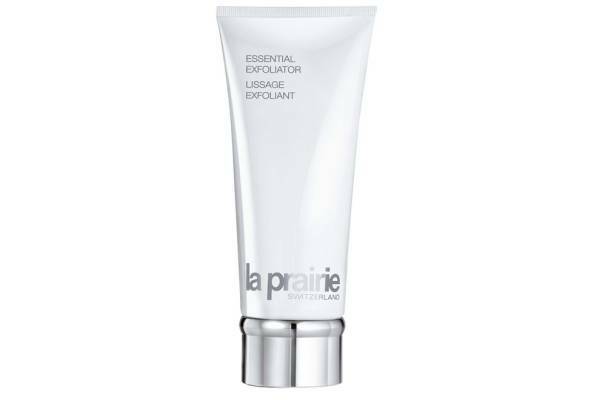 La Prairie Essential Exfoliator, US $80 for 7 fl. oz. This facial scrub is luxuriously priced and specially caters to the exfoliating requirements of people who have normal to dry skin types. Key ingredients include Apricot Seed Powder and Oil which facilitates most of the exfoliation.To know more about La Prairie Essential Exfoliator, check its detailed review here. 5. 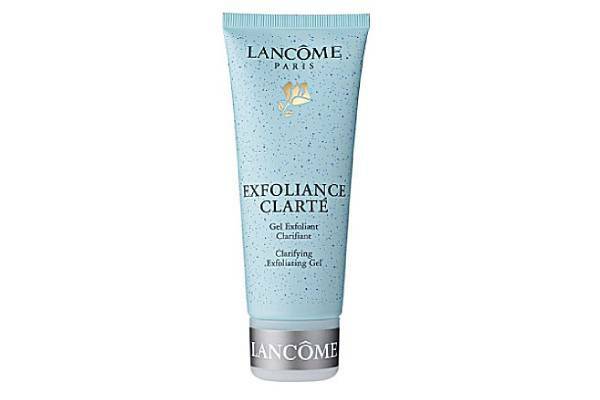 Lancome Exfoliance Clarte, US $26 for 3.4 oz. This product turns to pineapple and papaya extracts to help lighten dark marks and promote a brighter overall skin complexion. Key ingredients also include micro-beads and fine grains that facilitate gentle exfoliation of your skin’s outer skin surface. This product’s high concentration of artificial colorants and fragrance ingredients, among other potential allergens, however, does not make it an ideal exfoliator for people with reactive and hyper sensitive skin.To know more about Lancome Exfoliance Clarte, check its detailed review here. 6. SkinCeuticals Biomedic Micro-Exfoliating Scrub, US $30 for every 150 ml. This product uses diatomaceous earth microbeads from marine sources to slough away the dry, damaged and lifeless top layer of your skin, in turn facilitating a more efficient skin regeneration and turnover. 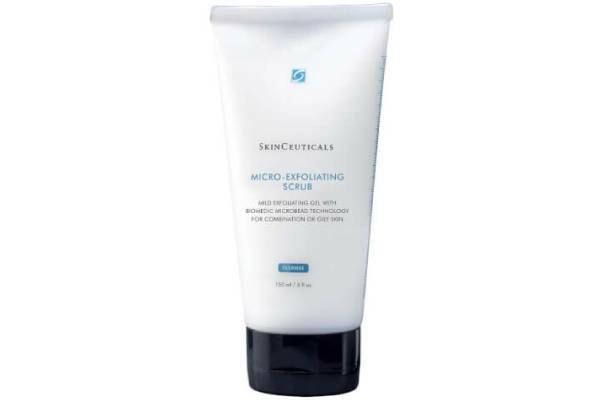 This product is also infused with aloe which helps facilitate faster skin healing and the restoration of yours skin’s protective barrier protection.To know more about SkinCeuticals Biomedic Micro-Exfoliating Scrub, check its detailed review here. 7. 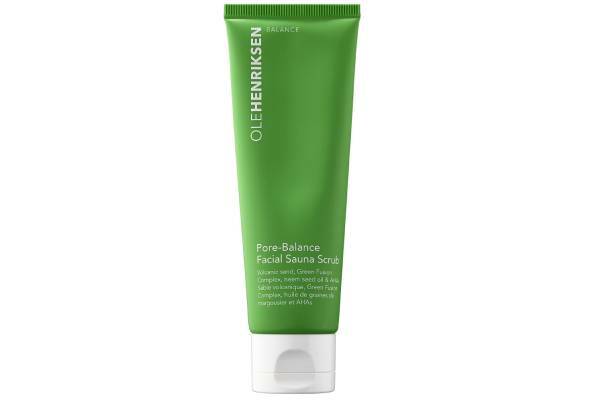 Ole Henriksen Pore-Balance Facial Sauna Scrub, US $28 for 3 oz. This product offers its Green Fusion Complex to draw out skin impurities and clear your skin of grime and debris while simultaneously delivering a rehydrating function, with the aid of green tea, eucalyptus, Irish moss extracts, and algae. Other key ingredients are glycolic acid, lactic acid, and Icelandic volcanic sand.To know more about Ole Henriksen Pore-Balance Facial Sauna Scrub, check its detailed review here. 8. Aesop Purifying Facial Exfoliant Paste, US $55 for 75 ml. This product is from an Australian skin care label that delivers a combination of finely ground quartz and lactic acid to deliver an exfoliating function to facilitate your skin’s repair, rejuvenation, and renewal. The addition of evening primrose oil, rosemary leaf oil, and lavender oil help restore your skin’s ideal hydration functions, relieve any irritation caused by exfoliation, and give your skin elevated antioxidant protection. 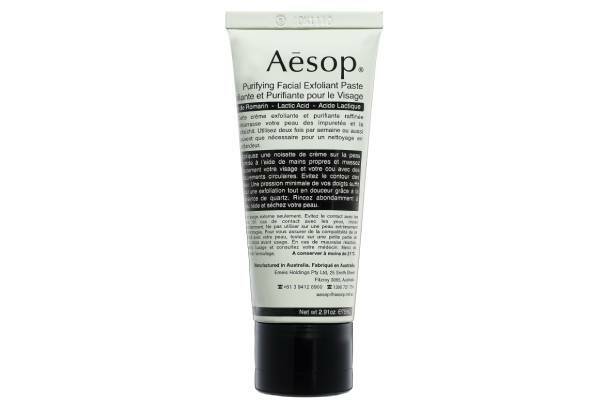 To know more about Aesop Purifying Facial Exfoliant Paste, check its detailed review here. 9. Dermalogica Superfoliant, US $58 for 2.0 oz. This product offers exfoliation in a powder presentation specially designed and formulated for daily use. The key exfoliating ingredient is activated binchotan charcoal which works by resurfacing impurities while simultaneously purifying your skin. The formula also includes niacinamide, red algae, tara fruit extract, and oryza sativa starch. To know more about Dermalogica Superfoliant,, check its detailed review here. 10. 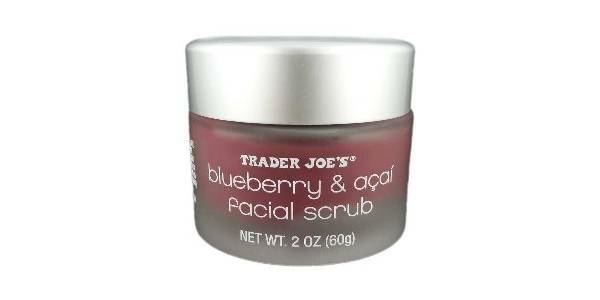 Trader Joe’s Blueberry Acai Facial Scrub, US $5.99 for 2 oz. jar. This exfoliation formula is perfect for those who are more ecologically conscious of what they’re putting on their skin, as it is made with an all-natural formula that enhances your skin’s clarity, texture, radiance, and protection. Key ingredients include blueberry and acai extracts, AHA, colloidal oatmeal, and shea butter. To know more about Trader Joe’s Blueberry Acai Facial Scrub, check its detailed review here. 11. That Booty Tho Scrub, US $28. This exfoliator facilitates more efficient exfoliation while simultaneously restoring your skin’s ideal moisture content. Walnut powder is the key scrubbing component. Other ingredient are organic aloe leaf juice, hydrolyzed wheat protein, Vitamin E, and organic white willow bark extracts, organic jojoba seed oil ,and rose hip seed oil. 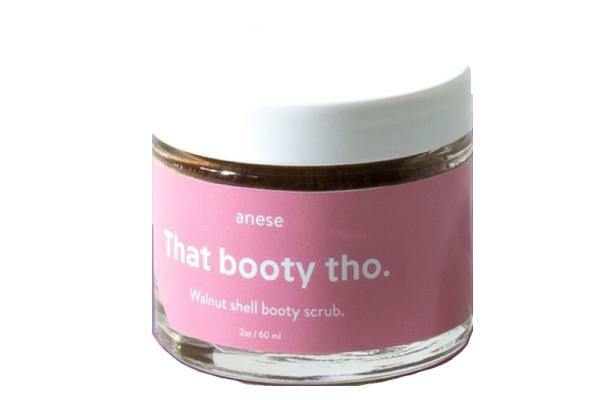 To know more about That Booty Tho Scrub, check its detailed review here. 12. 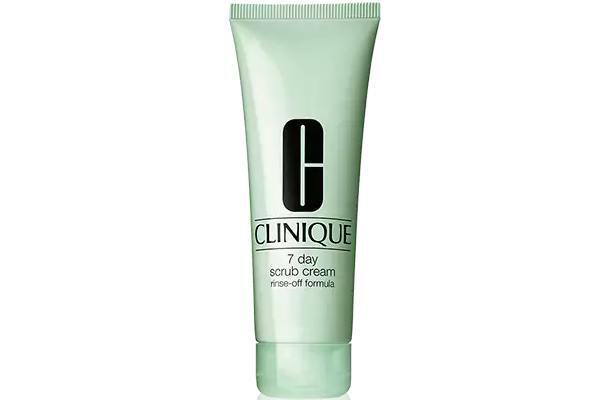 Clinique 7 Day Scrub Cream, US $22 for 3.4 oz. Mindfully formulated to serve the regular exfoliating requirements of people with dry skin types, this product works by delivering a scrubbing function using silica. Supporting ingredients include coconut oil and bisabolol. To know more about Clinique 7 Day Scrub Cream, check its detailed review here. 13. 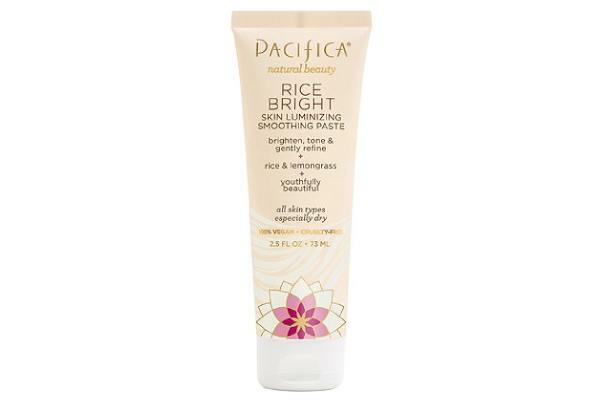 Pacifica Rice Bright Cleansing Paste, US $14 for 2.5 oz. This product purifies and clarifies your skin using rice enzymes as the primary exfoliating agent. Rice is also well known for its skin brightening and toning properties. This product’s formula is further enhanced with the infusion of the healing and skin soothing properties of aloe and Vitamin E.To know more about Pacifica Rice Bright Cleansing Paste, check its detailed review here. 14. 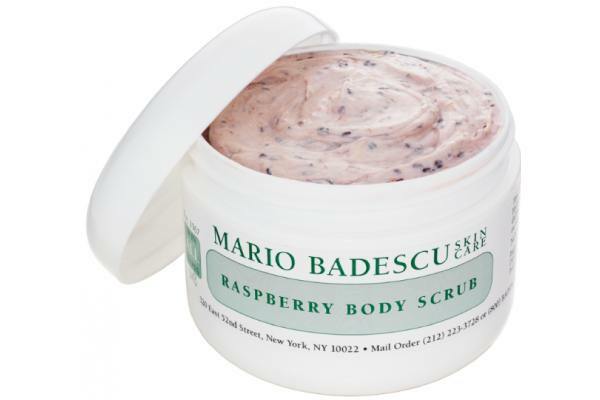 Mario Badescu Skincare Raspberry Scrub, US $15 for 236 ml. This product promotes a better polished skin and a more radiant complexion by delivering the naturally exfoliating properties of fruit enzymes. It is further formulated with papaya extracts, rice bran oil, and raspberry seeds. To know more about Mario Badescu Skincare Raspberry Scrub, check its detailed review here. 15. 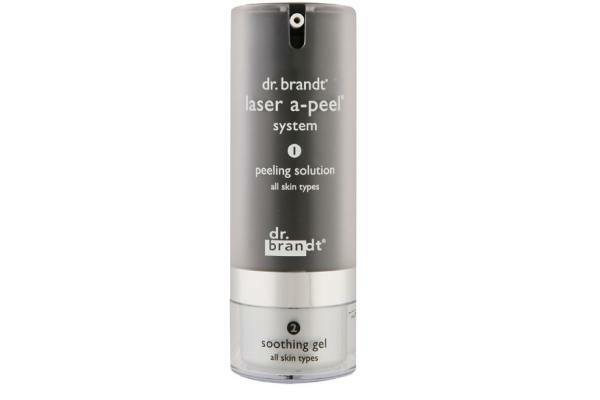 Dr. Brandt Laser A-Peel, US $75.95 for 1.7 oz. It delivers two solutions housed in a single package. The first is a peeling solution where the key ingredients are glycolic acid and lactic acid. The second step is the application of a soothing gel which works to soothe irritated skin, calm inflammations, and help restore your skin’s optimal moisture content. To know more about Dr. Brandt Laser A-Peel, check its detailed review here. Snail mucin happens to be the biggest makeover news in recent years. Going beyond their skin moisturizing functions, this product also explores the skin exfoliating properties of snail mucin. 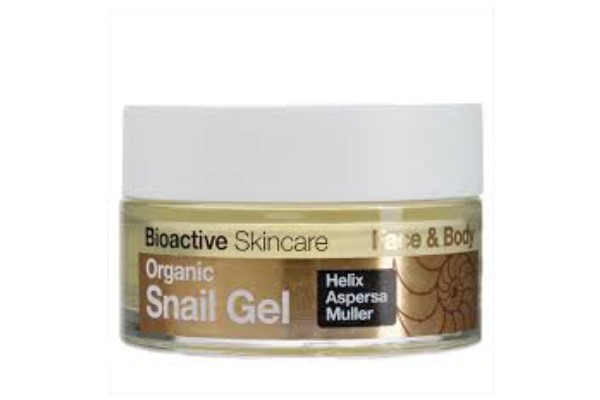 Other key ingredients include glycolic acid, collagen, elastin, and Vitamins A, B, and C. To know more about Helix Aspersa Müller Snail Gel, check its detailed review here. When it comes to great-looking skin, prevention and maintenance are of premium importance. Exfoliation is an effective means by which you can keep your skin healthy and youthful looking so be sure to take advantage.